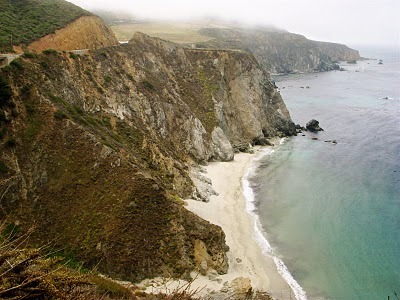 I thought of sharing some ideas about the Pacific Coast Highway tour here in California. 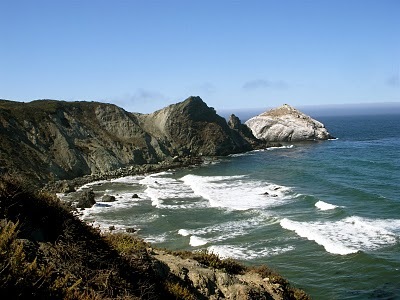 For anyone going on a road trip, driving the Pacific Coast Highway can be a relaxing adventurous trip. 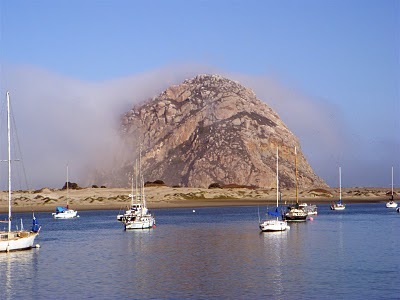 Starting in either San Diego or San Francisco will work real well, although if you start in San Diego you can visit the big cities first of San Diego and Los Angeles, then the rest of the trip will be small towns except San Francisco. I recommend staying at least four nights in any one big city if your looking to explore the city. 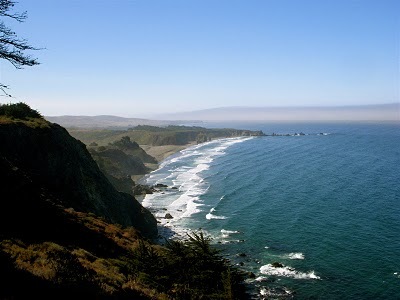 Regarding hostel stay, a person can stay in HI-Hostels all the way up the coast of California up to Point Reyes and also up to the Redwood National Park hostel if a person would be driving that far. Starting in San Diego are two different hostels a person can stay at. I haven’t been to neither so I cannot give a recommendation. Within Los Angeles I have heard a lot about the Santa Monica HI-hostel. There’s no parking for cars, although it is in a prime location, right by the oceanfront, beach, and wharf. Most people visit Disneyland while down in Los Angeles. From L.A. I would drive to Santa Barbara, which is 100 miles and spend a night or two. Santa Barbara does have a hostel which I recommend making a reservation before hand. Santa Barbara is a great place to visit for however long a person may want to stay. From Santa Barbara the next place to stay is the HI-Hostel in San Louis Obisbo. This hostel is a bed and breakfast type of hostel. When I stayed there I was in a room that was noisier then the others, but it is just the way it goes. They have a free pancake breakfast in the morning and a nice kitchen and sitting room, although they do want everyone out by 10:30 am sharp, they close the hostel even for people that are staying there until 4:30 pm. From Santa Barbara to San Louis Obisbo is about 110 miles. From San Louis Obisbo to Cambria is only 30 miles. Moro Bay is worth stopping for a meal and a little hanging out on the beach. 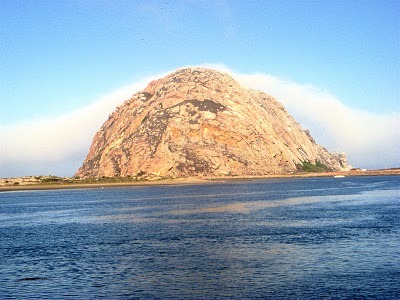 The pictures below are of the rock in the bay at Moro Bay. 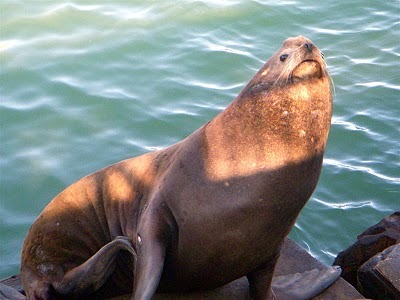 Moro Bay has a small waterfront from where I got the above picture of the sea lion. Moro Bay is 15 miles south of Cambria and 15 miles north of San Louis Obisbo. 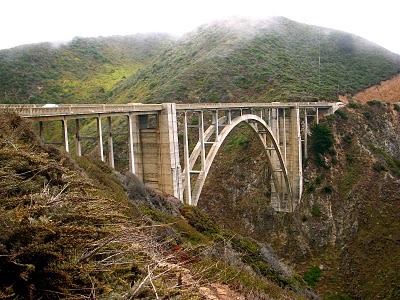 Cambria is a stop which should not be missed, staying overnight place at the Bridge Street Inn HI-hostel. If visiting Hearst Castle, a two to three night stay is worth it in Cambria. From Cambria the route to Monterey should be driven slowly, stopping to take pictures. Four of these pictures on this post are from this stretch of the Pacific Coast Highway. The hostel in Monterey is within a great location. Three blocks from Cannery Row in the area of the famous aquarium. The hostel in Monterey is like the Fort Mason hostel in San Francisco, although much smaller of a building. From Monterey to Santa Cruz is a short 50 minute drive. The Santa Cruz Hostel are cottages right within the Boardwalk area, walking distance to downtown, the wharf, and the beach boardwalk. From Santa Cruz to the Pigeon Point Lighthouse hostel is only 25 miles. If you are looking to just relax by the ocean, this is the place. The Montara Lighthouse hostel is on the way to San Francisco which is located on the ocean with a nice beach down the cliff. In San Francisco, a four night stay is well worth it, one day to tour Alcatraz and the fisherman’s wharf. At the wharf there is a world war two submarine which is interesting, along with the boats on the Hyde St. Pier. The Fort Mason hostels provides free parking, the other two hostels, city center and downtown does not have parking. Are you looking for street parking in San Francisco? Good luck. If your looking to stay outside the city, at the same time, having access to the city, the Montara Hostel 25 miles south or Highlands hostel in Sausalito across the Golden Gate Bridge would be the best locations. Marin Country is wonderful explore, don’t miss the John Muir Woods. From there a short drive to the Point Reyes Hostel. If continuing North on the Pacific Coast Highway, you may want to stop at Mendocino for a night, although there is no hostel in that town. Driving north on 101 brings a you through the National Redwood Forest which is a wonderful place with tall redwood trees reaching the skies. Arcata in Humbolt County is the town to stay it which the Arcata hotel faces the downtown square. Arcata is a small local hippie town which everyone smokes pot. A very mellow town with nice people. Arcata is a lot like Santa Cruz just much smaller and ninety percent local without any major chain stores. 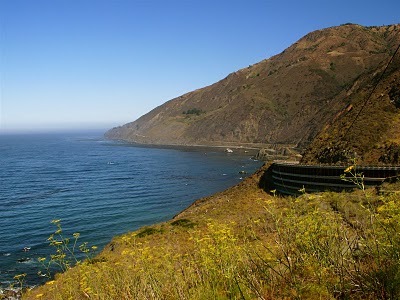 The Pacific Coast Highway can be an inexpensive road trip, except gasoline, for any individual, couple, or family. Cheap hostels all along the coast with kitchens for a person to cook their own food. I hope this information helps anyone who is planning a trip to the coast of California. It’s pretty easy to find cheap tickets to California. Next post: Winding Down – Thrity Days. Previous post: The Bridge Street Inn Hostel-HI, Cambria.